Since its discovery 45 years ago, Cygnus X-1 has been one of the most intensively studied cosmic X-ray sources. About a decade after its discovery, Cygnus X-1 secured a place in the history of astronomy when a combination of X-ray and optical observations led to the conclusion that it was a black hole, the first such identification. The Cygnus X-1 system consists of a black hole with a mass about 10 times that of the Sun in a close orbit with a blue supergiant star with a mass of about 20 Suns. Gas flowing away from the supergiant in a fast stellar wind is focused by the black hole, and some of this gas forms a disk that spirals into the black hole. The gravitational energy release by this infalling gas powers the X-ray emission from Cygnus X-1. Although more than a thousand scientific articles have been published on Cygnus X-1, its status as a bright and nearby black hole continues to attract the interest of scientists seeking to understand the nature of black holes and how they affect their environment. Observations with Chandra and ESA's XMM-Newton are especially valuable for studying the property of the stellar wind that fuels Cygnus X-1, and determining its rate of spin. 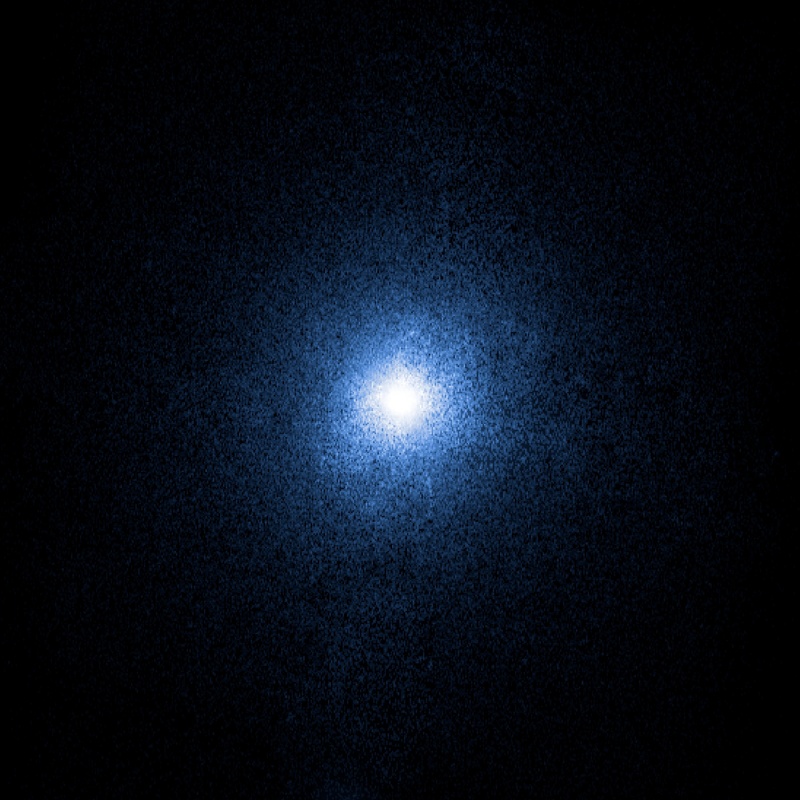 Recent analyses of spectra obtained from Chandra, the Rossi X-ray Timing Explorer, and the Swift, and Suzaku observatories showed that the Cygnus X-1 BH is rotating at or near its maximum spin rate. what about gravitational lensing observed in the universe? Can Chandra penetrate through it show further? 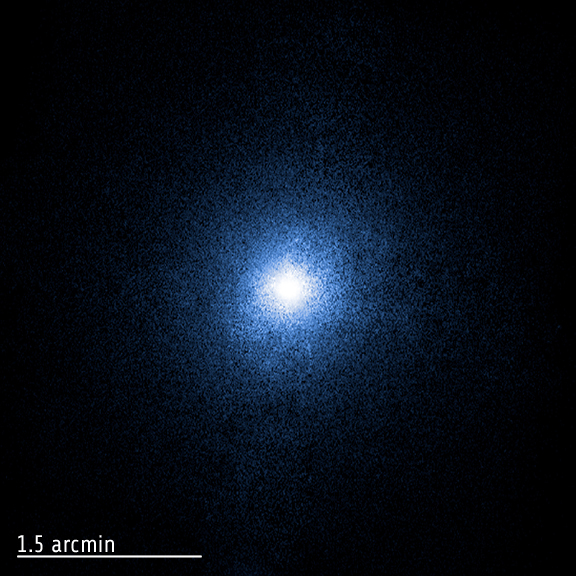 The companion star around cygnus X-1 is a blue super-giant destined to become a black-hole itself. How long until this happens (2 black holes will be in orbit around each other)? WOW. Thanks for the great pictures and information. I bookmarked this link. Thank you for good job. Chandra detects stars as point sources, just most other telescopes. It is able to see more point sources than other X-ray telescopes because of its unprecedented spatial resolution. It can't resolve stars, but in a few cases features on the surfaces of stars can actually be resolved, e.g. We think a better estimate of the distance to Cygnus X-1 is 8000 light years, but in any case it's not a danger to us on Earth. I suggest that you research this topic using Google and the web. Chandra is used to do work on star forming regions, but also the Hubble Space Telescope and the Spitzer Space Telescope and many other telescopes. Cygnus X-1 has no effect on our solar system. The gravitational influence of the Sun dominates the solar system and the gravity of Cygnus X-1 is negligible (and is identical to the gravitational influence of stars with the same mass at the same distance). I am doing a bsc project on massive star evolution, so I would like to obtain information about massive star evolution star forming regions, data based on recent observation and apparatus used to detect them. I would also like to obtain data for analysis. It will be nice when in the future the instrumentation's get advanced enough to resolve the image to it's component stars BH s etc. If Cygnus X-1 is 6,000 light years from Earth does that mean a pulsar or worse aimed at earth will kill all life on earth? Thank you for this article. Knew that Cygnus X-1 is a black hole. It is about 8000 light years away from us. Does it effect in any way the solar system? What is the future of a black hole? It is great that we can image individual stars now. A question for you at Chandra, How is the imaging of stars done now?